Subject: Struggling for extra traffic? There’s no doubt that social and viral traffic can make the difference in your blog. Most of the online business owners usually waste their hard earned money in PPC, Seo and unprofitable media buys. But what if I told you that there’s a simple and inexpensive “wp hack” that can virtually melt down your serve with targeted, viral traffic from social sites? You probably are skeptical about what I said, mainly because you’ve heard all before when it comes to traffic. If you keep reading, I can promise you that traffic will never be an issue for you again. There’s something that most bloggers ignore. Yes, as it sounds – Exclusivity mixed with a bit of secrecy can make your visitors salivate over your content. It doesn’t matter if it’s images, products or even services. The thing is that if you make your content a bit “unaccessible”, your will definitely pique their interest, and they will want to know more. Listen to me: there’s no better marketing than exclusivity. Now, this is the secret that I was talking about before. What does exclusivity have to do with increasing traffic to your blog? You’ve probably seen many blogs require their users to pay money or register to access the content. Can you see the potential of this? The average user of Facebook, for example, has 100 friends. You blog can literally get viral, and in a very short time you can have instant and massive traffic. 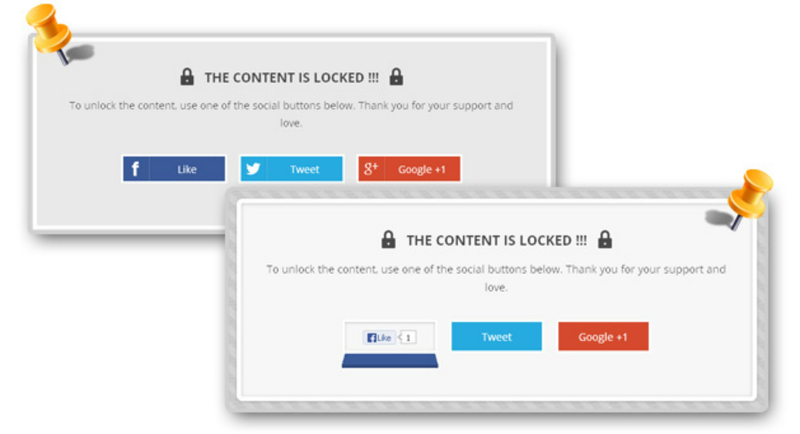 …And users have to “pay” with a tweet, a like or a share! 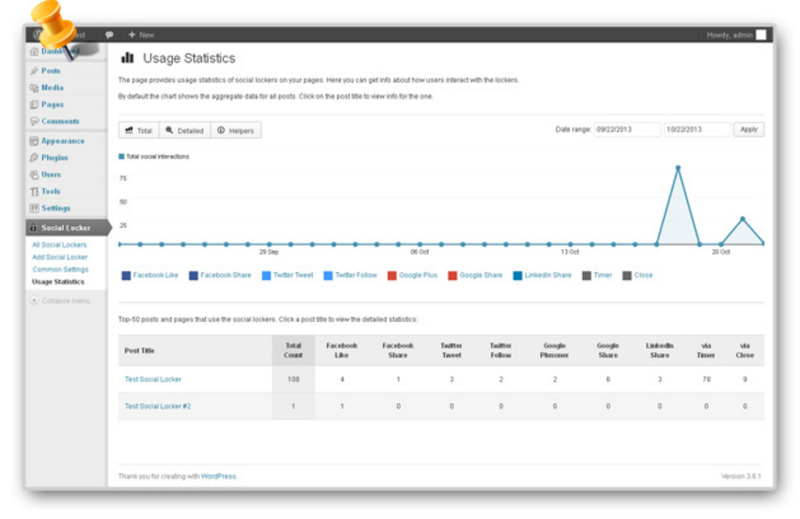 “Tiger WP Social Locker” is the definitive answer to your traffic struggles. This is very easy to use plugin – just quickly and easily install it in less that 30 seconds, customize it and watch the social traffic literally flood your blog. You can now take advantage of my unique and out-of-the box WP plugin that I’ve been using for a long time in order to increase my social traffic. Social Locker” will help you to transform your WP blogs and put them into overdrive with viral traffic. Are you going to keep struggling with traffic (and making sales) or are you going to leverage the power of an inexpensive WP plugin that can literally transform your WP blog for ever? PS. Remember that you’re protected by solid 60-day money back guarantee that removes all of the risk here. 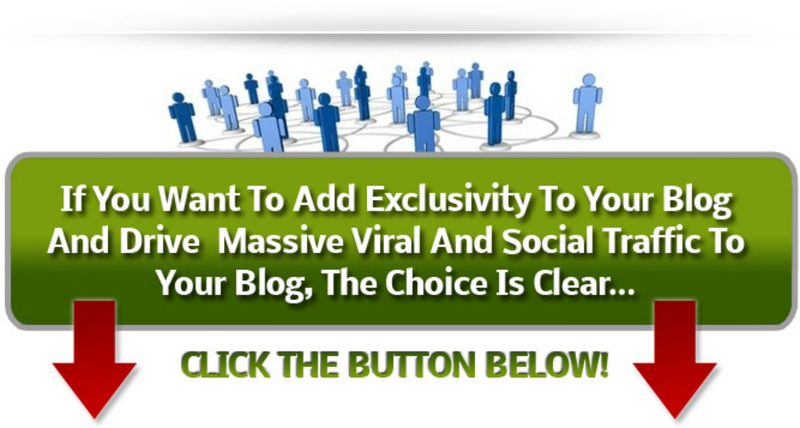 There’s nothing to lose to get MASSIVE viral traffic heading to your blogs! PPS. If you’re reading this PS, it means that you’re clearly interested. Just give it a try and I promise you that you’re going to be astonished!